Home » Where To Buy The Oculus Go Virtual Reality Headset? The Oculus Go Virtual Reality Headset was built to bring the splendor of virtual reality to more users. With a strong focus on affordability without sacrificing build quality, Oculus seems to have achieved their goal. 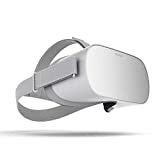 The Oculus Go VR Headset is a complete standalone unit enabling users to experience virtual reality without the need of using additional peripherals. The Oculus Go is manufactured to the same exacting standards as all other Oculus products ensuring that you have an unrivaled virtual reality experience. Constructed using breathable fabrics with spatial sound incorporated into the headband, you can expect a fully immersive experience. The lenses used in the Go is one of the headsets most innovative features. They have a very wide viewing field and project images in rich detail. These lenses have made leaps forward in the VR industry. The digital VR experience is comparable to that created by much more expensive equipment. No more using your smartphone or computer to enjoy an immersive VR experience. You can enjoy a comfortable and cable free virtual reality experience with the standalone Oculus Go VR headset. Oculus Go combines powerful hardware and software to create a one of a kind virtual reality experience. The Go comes with everything you need right out of the box and is ready to use straight away. 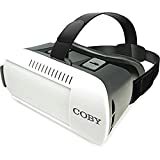 It can also be personalized for users who wear glasses, while you can easily use the Oculus Go with your normal glasses, you can also add the optional prescription lens inserts to enhance your experience even more. Available in two different sizes, 32 and 64 gigabytes. Powerful and quick Snapdragon processors allow you to use the Oculus to run demanding virtual reality applications with ease. There is also good battery life, you can use the Oculus Go for up to two hours in between charges. With access to the same applications as the more expensive Oculus products, you will have no shortage of VR scenarios to run. Why not take your VR experience to the next level with the Oculus Go? Where to buy the Oculus Go Virtual Reality Headset? You can get your Oculus Go from a few different places, however, the easiest and most secure way of buying an original unit is from Amazon.com. Amazon has easy shipping options for the Go and also provide a great range of accompanying products which will enhance your experience even more. Head on over to Amazon now and start experiencing the next leap in VR for yourself. Amazon has a wide selection of models available and the pricing hits the sweet spot. Buying from Amazon also gives you the added convenience of quick and easy delivery. Your amazing VR experience is just a click away! Check out the Oculus Go at Amazon.com.